also into fashion e-business, read on to know how entailing the services of a team of virtual personal shoppers can benefit your online store. The fashion industry is a crowded space. Every so often, you see new stores mushrooming both online and offline. With competition on the rise and traditional differentiators, such as product pricing, only doing so much so to give your business an edge, the need to explore alternative offerings naturally arises. Unlike brick-and-mortar stores, e-commerce sites do not boast “direct customer contact” – considered an enabler for a personal shopping experience. Thus, it becomes even more crucial for your fashion e-business to innovate services that drive customer engagement, loyalty, and retention. Multi-channel support, coupled with the services of an online personal shopper, can be a key differentiator when catering to internet-savvy fashion shoppers – as evident from evolving consumer trends. With more and more fashion consumers taking to Facebook, Instagram, Twitter, etc. to share their brand experiences, you cannot afford to ignore social media when undertaking your brand building exercise. The idea is to invest in a robust support framework that encompasses all possible channels of consumer feedback. At LiveSalesman, our call center for fashion retailers covers phone, email, and live chat support. Additionally, we specialize in social media customer service for fashion e-commerce brands. Social media channels have their own nuances. They exhibit a wider reach with posts shared on Facebook, Instagram, etc. often gaining more visibility than traditional forums. Our call center for fashion e-commerce brands comprises fashion experts who know how important it is to provide carefully considered responses to social media queries and comments. By ensuring timely replies in a tone that is consistent with your brand’s image, our team makes sure the message that is going out reflects positively on your fashion e-business. Buying fashion products online is no mean task. With no item to touch or feel and no fitting room to try on garments to get the fit right, it is a given that your shoppers will have many product-specific queries when ordering online. Thus, as a company outsourcing customer service for fashion e-commerce, it becomes crucial for you to collaborate with an experienced provider of customer contact solutions for fashion e-businesses. Before deciding on a suitable call center for fashion retailers, make sure you ascertain up front whether its staff is competent in serving shoppers with fashion-related queries. This groundwork is necessary for providing relevant support to your online customers who may not be satisfied with scripted answers – typical of a standard call center environment. For all you know, a caller may throw your team a curve by seeking their opinion about the fit of a garment or trends to flaunt this season. Unless your support team is knowledgeable enough or up-to- date with the latest happenings in the fashion world, they will struggle to field such domain specific questions. Off-the-shelf call center solutions do not fit the bill for fashion e-businesses as responding to cut- or fit-related queries requires more than parroted answers. To provide expert guidance to online shoppers, you must invest in specialized customer contact solutions such as LiveSalesman’s call center for fashion e-commerce brands. LiveSalesman employs online personal shoppers who are product experts in their own right, doing what it takes to stay ahead of the curve on fashion trends. All of them boast a keen fashion sense, a knack for style, and a thorough understanding of what works for different body types. Their rapport building skills, customer-focused approach, and expertise in discerning a shopper’s personal style and unique needs make them indispensable to your support model. Rest assured your customers will never be in want of expert guidance, whenever they feel the need to talk to an advisor during the buying process. Bearing in mind the busy schedules and fleeting attention spans of today’s shoppers, it is evident that time-saving services are the need of the hour. Customers, especially first-time visitors who are unfamiliar with your site’s product pages, neither have the patience nor the inclination to spend hours browsing multiple menus and submenus to find a particular style, cut, color or design. Many would prefer not buying at all than ordering something in a hurry or with uncertainty, only to send it back later. They would rather not go through the returns process, despite you promoting it as free, quick or seamless. And even if they do order and return, that’s no good either as your goal is to increase sales, not incur expenses on processing refunds for unwanted items. Then, there’s the dilemma of what to buy. Instead of driving conversions, the sheer range of products and the plethora of choices can overwhelm your visitors and have a detrimental effect on their shopping behavior, triggering more cart abandonments than sales. Bring an online personal shopper into the picture and make your visitors feel at ease by getting them real-time access to expert help – essential for converting the “window shoppers of the online world” into “buying customers”. LiveSalesman, a leading provider of outsourced customer contact solutions, understands that a call center for fashion e-commerce brands cannot replicate the usual call center way of doing things as the audience in focus is a niche one. To deliver exemplary customer service for fashion e-commerce, a call center for fashion retailers has to engage professionals who eat, sleep and breathe fashion! These personal shopping assistants have the expertise to guide shoppers on a range of style-related needs, convincingly portraying themselves as fashion authorities who know the world of fashion inside out. So, next time a prospective buyer solicits advice on how to choose the right kind of shapewear or how to mix and match colors, prints, etc. to look slimmer or taller, you know your support team will not feel out of place when addressing such queries. Needless to say, responding to prospects in an appropriate manner and in a way that instills confidence in them can have a direct bearing on your site’s conversion rates and brand loyalty. Imagine a scenario where a caller, unsure of what will look good on her body type, contacts your customer service team. She informs the customer service representative that she needs to put together an outfit that is both trendy and suitable for a special occasion like a wedding. 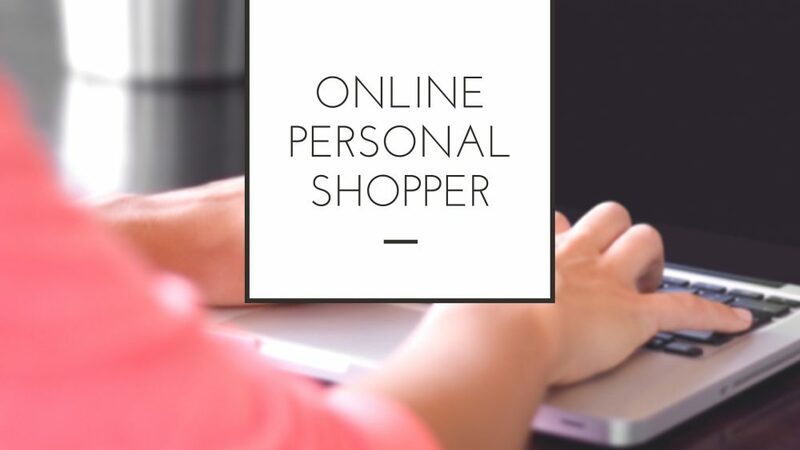 The online personal shopper starts by asking her leading questions to determine her style preferences, body type, budget, etc. She then recommends the caller a gorgeous piece that matches the latter’s needs to the T. Instead of ending the conversation at that, the virtual shopping assistant further suggests the caller a statement pendant and a pair of high-heeled shoes to enhance the appeal of her outfit and perfect the look. Impressed by the assistant’s impeccable fashion sense, the prospect decides to go for the complete ensemble. call center? The answer is ‘NO’! to convert a “passing interest” into an “assured sale”. LiveSalesman’s online personal shoppers excel in both. Keen to know more about how our call center for fashion retailers can give your fashion e-business the desired momentum? Then, get in touch with us now by giving us a call, emailing us or submitting a query online.